If you’re looking to buy a stroller for the first time, it’s easy to get confused by all of the product specs, features and prices. To make your shopping easier, we’ve put together a list of the top four things you should know before deciding on a new stroller to purchase. Whether you already have a little one, or your baby is still on the way, one thing’s for sure: Your child’s safety is your top priority. Keep an eye out for safety-oriented features, such as reliable brakes and a safety harness. A five-point harness, for example, is the most secure fastener type, according to Consumer Reports. Also, once you bring home your stroller of choice, keep safety at the forefront by following the directions — including abiding by age and weight recommendations — and using the product for its intended purpose. For example, don’t use a standard stroller for exercise excursions when a jogging stroller is better suited for such activities. As you select your stroller, remember that you have a vast assortment of types to choose from. Pick the stroller that best serves its purpose and suits your needs. Just because a stroller is a more expensive purchase than a diaper bag, for instance, that doesn’t mean you have to pay full price for it. Shop around and look for sales in a store’s baby department. Also, when looking for a good price, don’t forget to browse at less traditional outlets, such as online giants Amazon and Overstock. 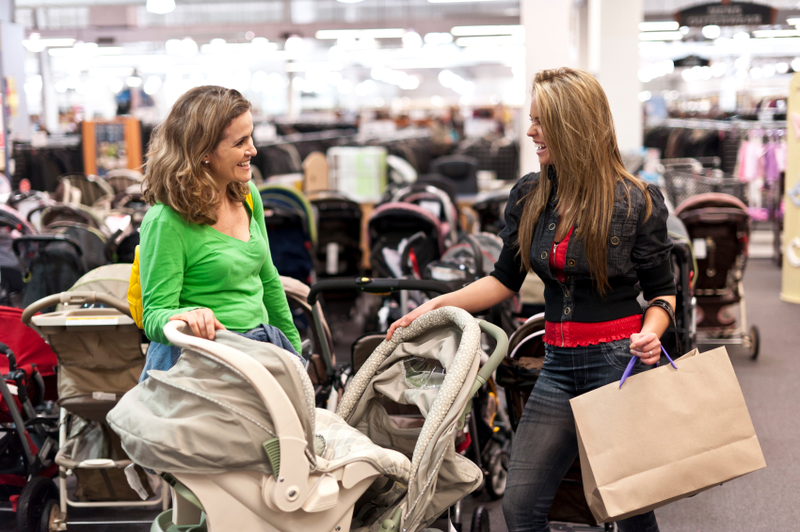 For more money-saving ideas, take a look at our tips for getting the best deal on a stroller. If you’re still feeling confused after browsing through vast inventories of strollers, don’t forget to utilize online tools to make your decision a little easier. As with most other major consumer purchases, many stores offer stroller buying guides on their websites. Popular baby product retailers such as Babies R Us and Buy Buy Baby have compiled lists of features to look for and links to their respective store’s stroller department. Need help purchasing more than just a stroller? Check out our guides for buying a juicer and a vacuum.